September 26, 2017 15:45 ET | Source: Atari, Inc.
NEW YORK, NY--(Marketwired - September 26, 2017) - Atari®, one of the world's most recognized publishers and producers of interactive entertainment, today released new information about Ataribox, a product that brings gaming and more to the living room. The launch also signals a return by Atari to creating its own hardware in a broad eco-system of accessories and content. Since we announced Ataribox three months ago, we have received more than 90,000 registrations on Ataribox.com. 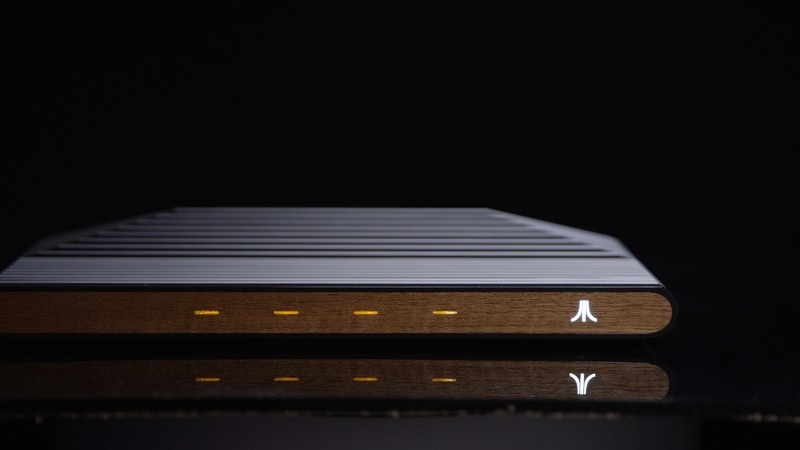 Ataribox has a unique modern design, influenced by iconic Atari products such as the Atari 2600. Technology wise, it is powered by an AMD customized processor with Radeon Graphics technology. Ataribox will offer games and more: bringing a full PC experience to the TV, it will also include streaming, applications, social, browsing, and music. Ataribox will run a Linux OS, with a user interface customized for the TV. Ataribox will launch with a large back-catalog of Atari classic games, and current titles from a range of studios. Additional details on content and partnerships will be released at a later date. Given the open nature of the OS, players will also be able to access and play compatible games from other content platforms. "With Ataribox, we wanted to create an open system, a killer product where people can game, stream and browse with as much freedom as possible. Atari games and content will be available as well as games and content from other providers," said Fred Chesnais, Atari Chief Executive Officer. "We also wanted to launch Ataribox with our community, and reward our fans with exclusive early access, special editions, and include them as active participants in the product rollout." "People are used to the flexibility of a PC, but most connected TV devices have closed systems and content stores. Ataribox is an open system, and while our user interface will be easy to use, people will also be free to access and customize the underlying OS," said Feargal Mac, Ataribox General Manager. "We've chosen to launch Ataribox with Indiegogo given their focus on delivering technology products, and their strong international presence in over 200 countries, allowing us to reach and involve as many Atari fans around the world as possible." Today, new assets are released on Ataribox's social channels including Facebook https://www.facebook.com/atariboxofficial/ and Twitter https://twitter.com/atariboxproject. People can get access to early information and additional details by signing up at www.AtariBox.com. To stay updated with the latest information about Atari, visit www.Atari.com, Like us on Facebook at https://www.facebook.com/atari and Follow us on Twitter @Atari. For specific updates on Ataribox subscribe at www.ataribox.com. Atari is an interactive entertainment production company. As an iconic brand that transcends generations and audiences, the company is globally recognized for its multi-platform, interactive entertainment and licensed products. Atari owns and/or manages a portfolio of more than 200 games and franchises, including world-renowned brands like Asteroids®, Centipede®, Missile Command®, Pong®, and RollerCoaster Tycoon®. Visit us online at www.Atari.com.